We provide a cost effective and professional service by advising and supporting your organisation in a number of Estates and Facilities Management areas. Our support services help you to deliver much needed cash and efficiency savings and reductions in your organisational expenditure. 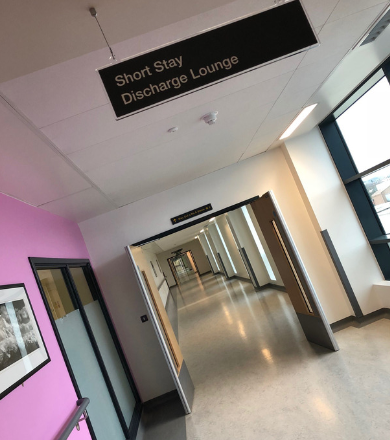 We have extensive experience of delivering a diverse range of estates and facilities related projects to the NHS, academic and commercial organisations and pride ourselves in delivery, value for money and efficiency in all of our projects. The experience we have gained enables us to bring our understanding of lessons learnt, knowledge and best practice tools and techniques to every project and programme we assist with. Supporting the NHS constitution pledge to provide services from a clean, safe and fit for purpose environment we are firmly of the opinion that the NHS Premises Assurance Model is an appropriate tool to aid Trusts on a self assessment basis in gaining an holistic understanding and proactively action planning deficiencies in relation to compliance, premises safety and efficient use of their estate. It is of paramount importance in terms of patient experience, safety and public purse efficiency that the NHS Estate is appropriately maintained, safe and fit for purpose with assurances around compliance readily available to evidence such assertion. Without robust, relevant and demonstrable evidence of assurance it is extremely difficult to prove compliance and target investment where it is required. We can assist and support you in the management, preparation, collation and appropriate storage of your PAM evidence in the five domains to provide assurance against your responses to the self assessment questions. Using our practical experiences, we offer a range of optimisation and rationalisation support and advice services to NHS Trusts. As a result of our having carried out a number of Space Utilisation studies to inform rationalisation and smarter working strategies we are well placed to advise upon cost saving solutions through comprehensive and robust evidence based reports and advisory papers. Visit our Room Utilisation Study page for further details. We are currently working on a Consultancy basis with a number of NHS Trusts to lead on Estates Occupancy Formalisation Projects. This is assisted by the fact that our Managing Director is a Solicitor and former NHS Estates Manager meaning that he is well placed to provide the advice and practical support required to progress this type of project. Part of this process is the assessment of your Occupancy Agreements to ascertain and implement accurate charging regimes to ensure you levy correct charges and realise appropriate income streams.. This area fits extremely well with our Occupancy Agreement Audit and Management Service as, following formalisation projects, we have a comprehensive understanding of the makeup and strategic position of your estate. We have recently worked with NHS Property Services Ltd leading on and project managing the Due Diligence processes relating to the transfer of the Community Estate to NHS Property Services Ltd. Projects of this nature require careful consideration of a range of complex documents, collation of specific evidence and the input of such information into a range of prescribed formats. As a result of practical “hands on” experience with Primary Care Trusts we are well placed to continue our services in an advisory capacity to NHS Property Services in the future. The much awaited report following the review of operational productivity of NHS providers conducted by Lord Carter of Coles (The Carter Review) has highlighted what many of us within the Estates and Facilities management environment have known for a long time. Quite simply, Hospitals (and other NHS organisations) are not utilising their estates as efficiently as they are able and this is impacting negatively upon a number of cross cutting key delivery areas. Inconsistencies, such as one trust using 12% of their space for non-clinical purposes and another uses as much as 69% have been identified. The figures discussed within the Review of no more than 35 % of space for Non Clinical Services and no more than 2.5% vacant space will, in most cases, be difficult to achieve. We can assist you with in collating the information you require in order to appropriately and robustly report against these categorisations. To ensure that you are appropriately completing the returns for the implementation programme, we are able to professionally support you and your organisation with the returns as required as part of the NHS Estates & Facilities Management Productivity & Efficiency Project within the Lord Carter Implementation Programme. Please do not hesitate to contact us to find out more about our professional support services.